Lara McClintoch, an antiques dealer based in Toronto, thought her life was finally getting back to normal. One failed marriage and a failed business behind her, Lara’s new antiques shop is doing well and her personal life is nothing to complain about either. That is, until her ex-husband decides to set up shop across the street. After winning a bidding war just to spite her ex, Lara gets more than she bargained for when her antiques shop suddenly becomes a target for burglary, arson and murder. It turns out the box of junk from the auction isn’t as worthless as she thought. What she assumed were cheap reproductions turn out to be actual ancient artifacts—and illegal ones at that. In an attempt to save her store, her reputation, and ultimately, her life, Lara journeys to Peru where more danger awaits. She cons her way into the crew of an archeological dig, but soon discovers she isn’t the only one there with a hidden agenda. Unsure of whom to trust, Lara is left to her own devices to take down an entire faction of black market antiquities dealers and an army of grave robbers to boot! 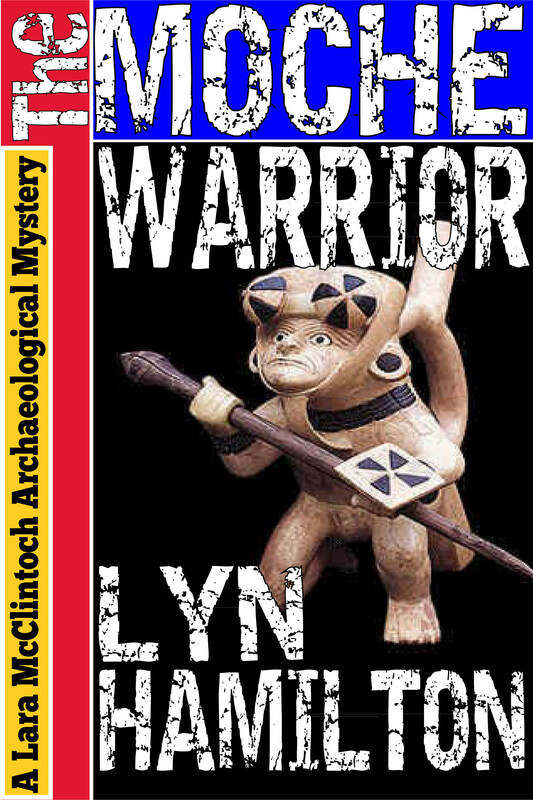 Read or write a review of The Moche Warrior on Goodreads here.